The sedation used in dentistry doesn’t make you unconscious. Dental sedation is simply a therapy that relieves anxiety and helps patients to relax deeply during their treatment. 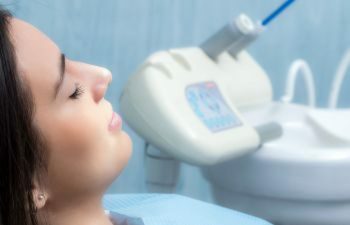 What does it feel like to experience treatments under dental sedation in Torrance, CA? Nitrous Oxide Sedation Makes You Feel Happy! As the name implies, you remain conscious when you take an oral sedative for dental treatment. This medication reduces anxiety and helps your body relax. You should be alert enough during the appointment to respond to your dentist’s directions and questions. IV sedation can sedate you at the same moderate level of an oral sedative can. The difference here is that the IV drip is administered through a needle in your arm, which allows the medication to take effect immediately and work for a set time. You may realize that you have little memory of your dental treatment after oral or IV sedation. This is because the medications contain agents that temporarily dull your memory. That’s why you may come out of your treatment feeling like you just woke up; you won’t remember much. Call Torrance Oral Surgery today to learn more about our dental sedation options and how they can help you through your next dental procedure.